Why opt for thow-away supermarket plastic bags when you can stand out in the grocery store with these classy sustainable enrirosax, whenever you shop . This lightweight modern-print bag folds up easily and is held together with a small press studded strap. When it is folded it is small enough to tuck into a glove compartment or handbag. Open it up and its roomy proportions with reinforced seams allow each bag to hold as much as two plastic grocery bags of shopping. Perfect for shopping, for the beach, gym, overnight or for work. 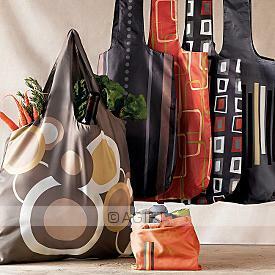 It comes in the following patterns: retro, geometric, monochromatic or botanical. Also available in a single colour without patterns. My husband looked pretty cool with his monochromatic bag doing market shopping and was chuffed when someone stopped to ask him where he got if from....AGIFT of course! 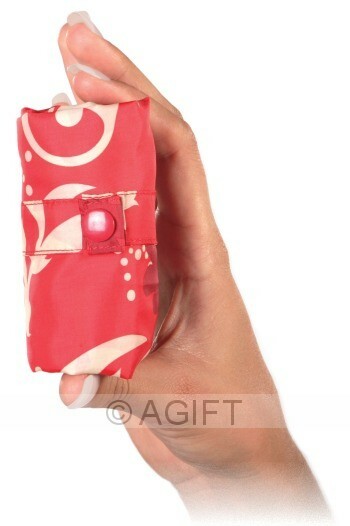 "They are simply terrific, pretty and easy to carry and use. They hold lots and every time I use mine someone comments. 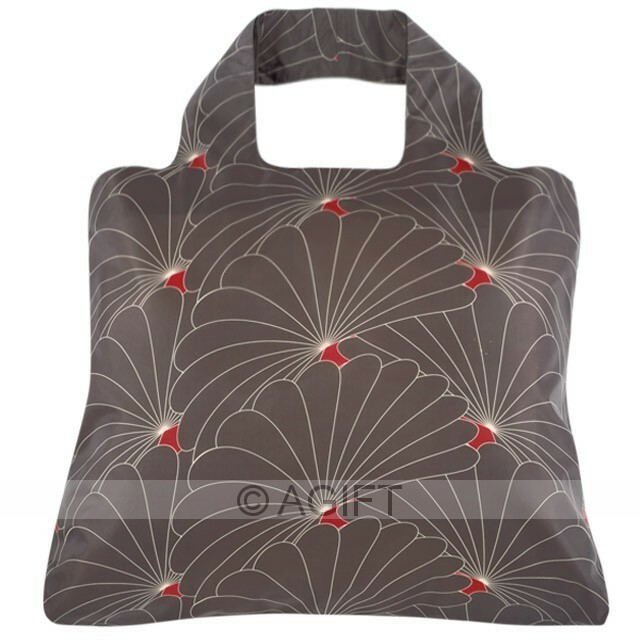 Thanks to my fabulous mum and AGIFT for sending me such a great product!" "I have tried other reusable bags for shopping and none of them combine all the features I want - style, function and small package. This bag does it all. It is small to carry, but opens up to hold a lot. I use it every time I shop. CORPORATE ORDERS. Please call + 61 3 90125429 for a special price on quantity orders and branding options.